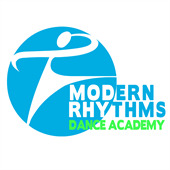 Welcome to Modern Rhythms Dance Academy! Please complete the following registration form. Please click on the Search button below, then choose the class or classes you want. We will review your class selection and apply the appropriate discounts where applicable. After you submit your application, you will receive a confirmation email. We will then send you another email shortly after with your balance due to get your child started for the year. You can then go back into your portal and pay by credit card or direct withdrawal from your checking account. I release Modern Rhythms Dance Academy, LLC, located at 635 Hicksville Road, Bethpage, it's staff and teachers of any liability for accident or injury that may occur while attending dance class, or other related activities away from or at the facility. I am responsible for the drop off and pick up of my child at the appropriate times. I authorize, Modern Rhythms Dance Academy, LLC, to use my Child's image in photography for brochures, videos and on the website for Modern Rhythms. I understand that I will not be compensated in any way for use of these photographs and the students name will not be used without additional consent. In the event a parent or legal guardian is not present at the time of a medical emergency, I hear by authorize Modern Rhythms Dance Academy to take any necessary steps to provide medical services. -Tuition for the year is broken up into 10 equal payments, first and last due at registration. After that, beginning in October, tuition is due by the 10th of the month through May. -Returned checks are subject to a $25.00 returned check fee. After review of your enrollment, discounts will be applied wherever applicable. There are multiple class discounts and sibling discounts available. -Students may receive a full refund for June only (less the $20.00 registration fee) during the first three weeks of classes. Beyond that time, no refunds will be issued. -Payments made in full will be refunded after December 1st, at which point will be pro-rated. -No refunds for summer session. -If your child will be missing a class, please contact us before the class to let the teacher know. -Students will be allowed to make up missed classes, with teachers advanced knowledge. -Modern Rhythms follows in accordance with the Bethpage school calendar. -All holidays including religious observance without a school closing are considered excused and will entitle the student to a make-up. -Once the costume orders have been placed, there will be no refunds. -Costume deposits for dance company students are due by October 1st, the balance of the costumes will be due by January 15th. -Once the company costume orders have been placed in October, there will be no refunds. -No street clothes or street sneakers permitted. -Hair must be securely fastened. -Date and place for recital will be announced during the year.